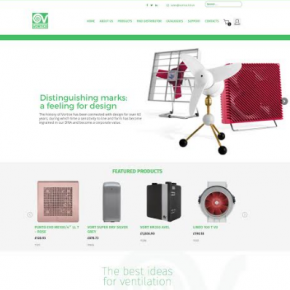 Vortice has launched a new website for the UK market – www.vortice.ltd.uk. A mobile-friendly that resonates with the group’s corporate websites worldwide. The website will allow customers to order online, look at technical details for each product and compare products by specification. Finance and Marketing Manager Hayley Powell said she hoped this new website would be easier to access, navigate and purchase from. “It contains a mine of information about all of our products as well as details about our CPD programme and BPEC installers training course,” she added. The new website features details of distributors throughout Britain, plus downloadable product catalogues and details of the best ways to obtain technical and design advice.